Any Sport Gold & Red Stripes Series Achievement Awards. Available in 3 sizes, 135mm, 160mm and 185mm high. 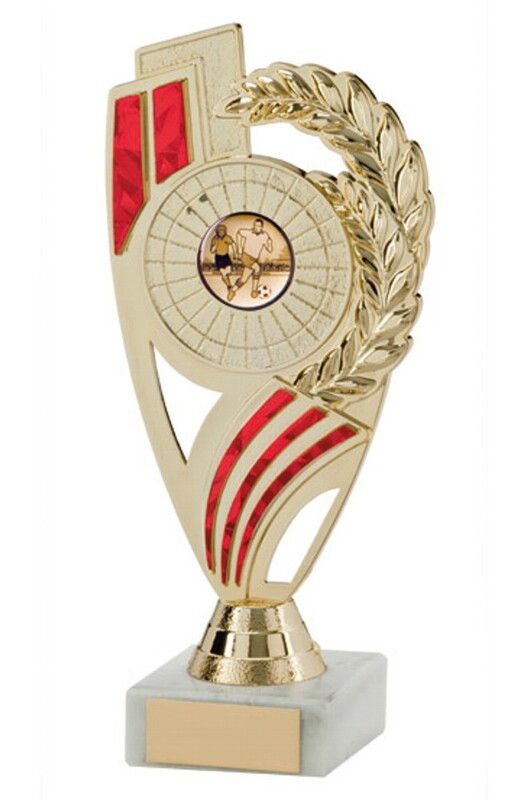 Gold award with red detail on a white marble base. A perfect award for all sports and events.